I bought a set of mini yarns from Siobhans Crafts at the British Wool show in August. 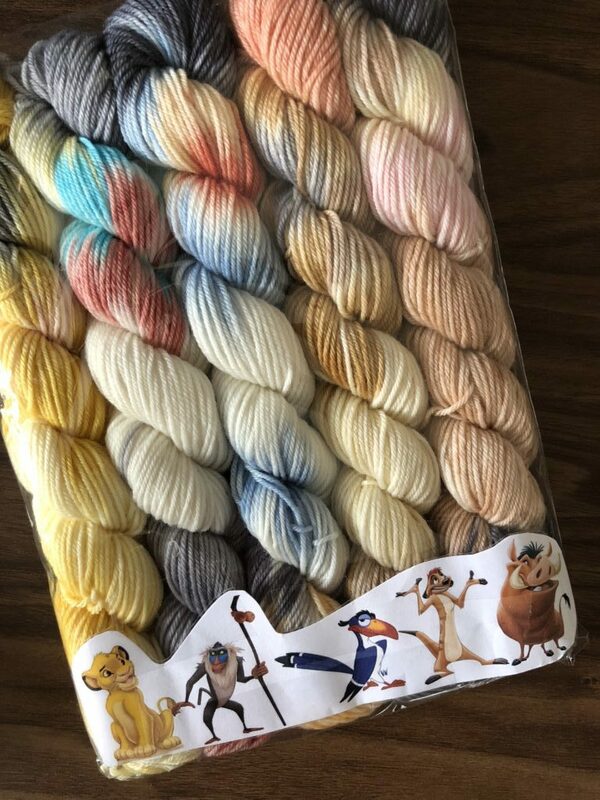 This colour way was based on The Lion King. Lately I have not enjoyed knitting the second socks of my pairs so I decided to try two at a time toe up socks. I started with Judy's magic cast on. I tried this cast on about a year ago and could not get away with it so I tried this tutorial and it really helped. I found knitting the socks two at a time meant they grew really quickly. I changed colour every 15 rows. I found this pattern by Jo Torr - Vanilla Sock with Gusset & Choice of Heel. This pattern really helped with the heel part of the socks. I have really enjoyed making these socks apart from using the magic loop method. I always get a ladder on one side so I will be going back to using DPNs for future socks.